It’s mid-July and the time of year when college football fans are in limbo. Spring practices have been over for close to two months and fall camp is still a couple of weeks away. Fans are looking for anything to read, watch, discuss or interact with regarding college football. It is the time of year when fans dissect their favorite teams down to the infinitesimal, and then begin to slowly build them back up when finding answers to the questions they have. There is no exception to this for the 2015 Oregon Ducks, a team coming off an unforgettable year in 2014 that came up one game short of achieving the ultimate dream. The page has turned; the 2015 Oregon Ducks will be a much different team than the one everyone last saw against Ohio State in January. 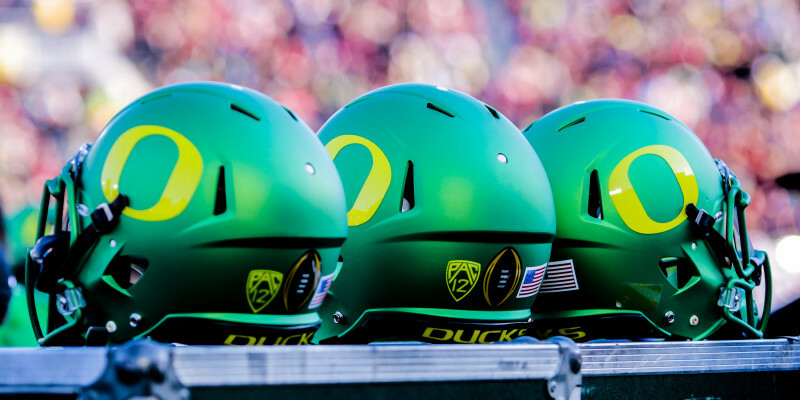 The 2015 Ducks will continue to chase after the school’s first National Title. Like every year there are many questions heading into fall camp, but 2015 is a year where the Ducks have more questions than usual. Obviously the biggest question is who will replace 2014 Heisman Trophy winner Marcus Mariota at quarterback. Another major question mark is the loss of production among the offensive line, due to graduation and players declaring for the NFL. Who will replace Jake Fisher, Hamani Stevens, and Hroniss Grasu? This is a group that had a combined 115 starts over their careers. What about the secondary? Ifo Ekpre-Olomu, Troy Hill and Erick Dargan have graduated and moved on. Who are the players that will replace them? On the defensive line, Tony Washington graduated and Arik Armstead opted to declare for the NFL a year early. Who fills the void created by two players who have been staples on defense for the last 3-4 years? There are several players who have been contributing at a high level but who have been overlooked. These players have a great opportunity to solidify themselves in the starting lineup, take on bigger roles for the Ducks in 2015 and make a name for themselves. Tyler Johnstone looks to bounce back after an injury plagued 2014 season. 1. Tyler Johnstone: 2014 was an unfortunate year for Johnstone. After tearing his ACL twice in the same year, he is back after almost a full year of recovery. Duck fans tend to overlook Johnstone because of injury throughout the entire 2014 season, as well as having Jake Fisher step up in his place. In a position of need and high importance (especially with a new quarterback behind center) Johnstone can come back and regain his spot as the Ducks starting left tackle. He comes back with plenty of experience, having started 16 games prior to missing last season. He is an upperclassman who will be tagged as someone the Ducks coaching staff will depend on for leadership and guidance for the younger players. For an offensive line that has a lot of questions and spots to fill, Johnstone makes that transition much less stressful. Christian French will look to solidify himself as a starter heading into the 2015 season. 2. 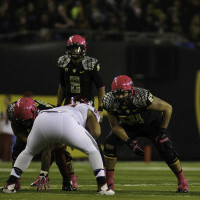 Christian French: Christian French is a name that is very unfamiliar when discussing Oregon’s defense. Few realize that French led the 2014 Ducks in sacks (6.5), not Washington, not Armstead, not DeForest Buckner. Yes, French was a third-down specialist in 2014, but that still doesn’t take away from his productivity. 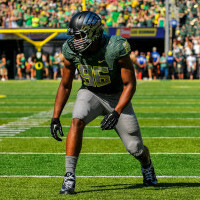 Transitioning into a starter is never a quick switch, but if French does develop into more than a third-down rusher, the Ducks’ defensive line depth will get a huge boost. Fresh legs, more second-team guys getting playing time, and senior leadership on the field is what could result from French being able to fill a starting spot. If French can transition into a starter and continue to fill the stat sheet the way he did in 2014, the Ducks can once again rely on an upperclassman with experience to take away the questions on the defensive line. Reggie Daniels looks to continue to produce at a high level like he did in 2014. 3. 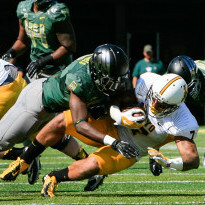 Reggie Daniels: Another overlooked player, Daniels was a big contributor to the Oregon defense in 2014. Although he was overshadowed by Erick Dargan and his team-leading 95 tackles and 7 interceptions. Daniels was also a key contributor in the secondary, accounting for 83 tackles (third-highest on the team) and an interception. With the secondary losing three key seniors, Daniels is now the veteran of the defensive secondary. Having started every game in 2014, the redshirt junior will now have to take on more responsibility among the defensive backs. He will have to captain those around him to the spots and places they need to be, help mold the younger guys and at the same time produce at the level he did last year. Based on his 2014 stats, Daniels should be ready and up for the challenge. While they haven’t yet fully made a name for themselves, these three players have proven they can play at a high level. They can answer the questions surrounding the Ducks going into 2015; they should fulfill the coaches’ expectations. This should put a lot of fans at ease heading into the latter part of summer. 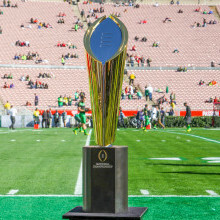 Although the expectations are high for the 2015 Ducks, they have the tools to once again make a run toward a national championship.